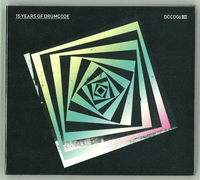 Drumcode has put together a two-disc compilation to mark their 15th anniversary. 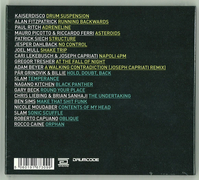 Founded by Swedish DJ and producer Adam Beyer in 1996, Drumcode is one of techno's most robust institutions. The label has put out nearly a hundred records since its inception, including EPs and albums by the likes of Cari Lekebusch, Gregor Tresher and Joel Mull, plus Swedish exports such as Ida Engberg and Pär Grindvik. Its parties have become an international favorite as well, with big label showcases everywhere from Space in Miami to Berghain in Berlin. 15 Years of Drumcode takes stock of the label's current family of artists with 20 previously unreleased tracks, including contributions from CLR boss Chris Liebing and Soma Records founders Slam. The collection will be available digitally and on CD at the end of November.